We work with landowners to discuss individual needs and concerns related to their land and find the best way to permanently preserve the conservation values on priority tracts. One way to achieve this is through conservation easements. This method allows landowners to continue to own and use their land, while voluntarily restricting its development rights. In other cases, a landowner may wish to entrust SAHC to own the land as a preserve. We accept donations of land and conservation easements, making the donor eligible for tax benefits. In rare cases we have applied for grants to enable us to pay landowners for land or conservation easements that qualify for specific grant programs. There are many “tools” in our conservation toolbox. Conservation easements and donations of land are some of the ways we work with landowners to protect critical conservation values. Other tools include bequests of land and reserving a life estate. Read more about these and other conservation options. 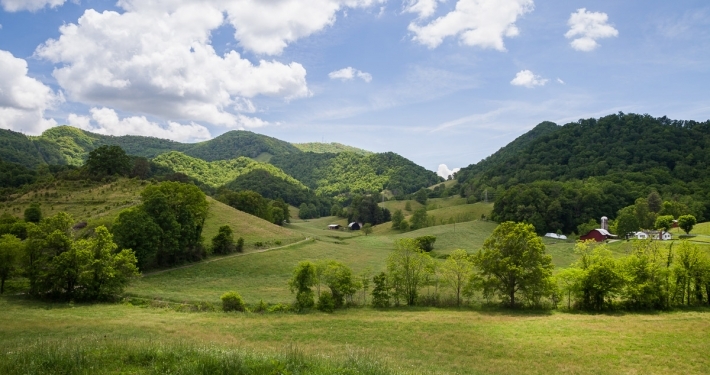 Learn more about the definition, benefits, steps, and stewardship of a conservation easement. In order to evaluate whether a particular property is eligible for conservation with SAHC, we ask all interested landowners to submit a preliminary questionnaire to our land protection staff. In 2015 Congress enacted one of the most powerful conservation measures in decades: the enhanced federal tax incentive for conservation easement donations. This permanent conservation easement tax incentive is a powerful tool that helps Americans conserve their land voluntarily. For more info on the tax benefits of conservation easements, the Land Trust Alliance has put together this informative brochure. Links to resources for landowners of conservation properties and/or those people interested in managing their own land. Farmers and landowners of agricultural lands face specific challenges – and may also be able to receive assistance from programs aimed to help protect farmland resources. Check out these training programs and other links specifically for farmers and/or agricultural landowners.